Unique gift idea! I have recently discovered epoxy resin and I am hooked! This STATEMENT piece is about 2.5 in diameter. 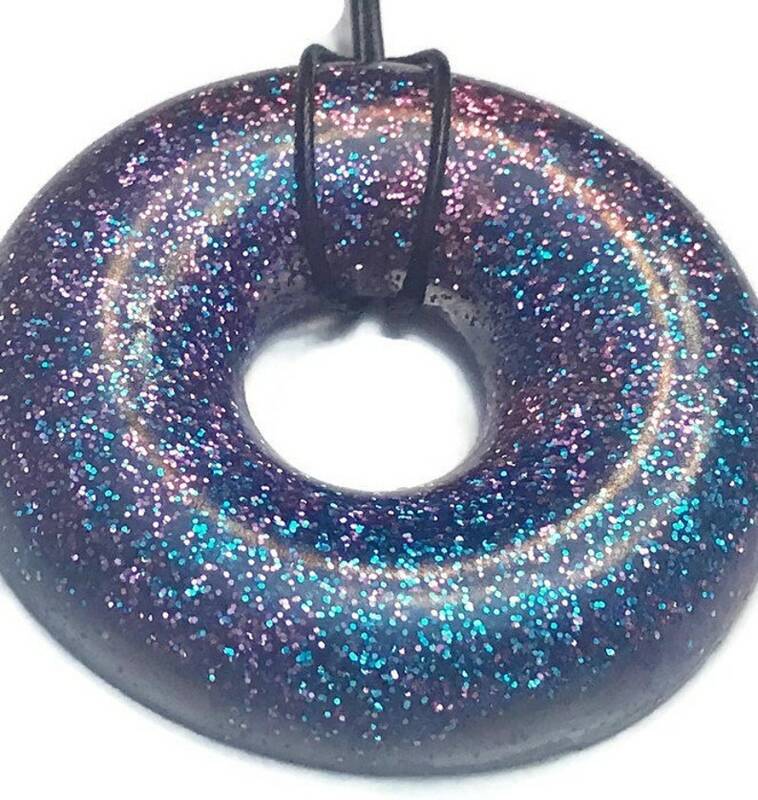 It is glitter mixed with epoxy resin. It is on a waxed leather cord with a lobster clasp. If you are looking for specific colors, please convo me!